My project investigates the pathogenesis of childhood asthma. We utilise early life allergic airways disease models to elucidate drivers of inflammation and airway remodelling. 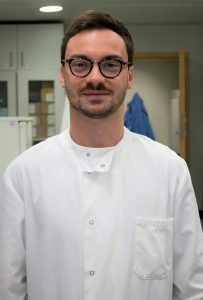 I moved to the Lloyd lab in January 2018 after completing my PhD at the Francis Crick Institute (2013-2017). My doctoral research was focussed on identifying novel mechanisms of anti-helminth immunity.